This year Beatrice Burrows Digital Marketing Officer at Tate London conducted her first masterclass on Social Media Communication Strategy at the Master in Arts and Cultural management, UIC Barcelona. Furthermore, she also talked to us in an exclusive interview about her professional career and her current job at Tate. Beatrice graduated in 2011 from Cambridge in Literature and during her studies she was interested in the performing arts and in the arts in general by bringing art to a wide audience. After her studies she wanted to learn more about the entrepreneurial part of the arts and she thought that “Tate was not only an amazing brand but it's very important to have a really strong mission, and Tate´s mission is to bring art to everyone in an enjoyable way. Question: Beatrice, being so young, how did you manage to have so wide professional experience and to be part of such important Institution like Tate? I was lucky that I had quite a clear focus on what I wanted to do after I left University. My upbringing and my involvement in the theatre scene at Cambridge made me very passionate about the arts, and I began to realise that rather than create art for the usual arts attendees I wanted to bring new audiences into theatres, opera houses and art galleries. I interned at a large arts organisation – the Southbank Centre, and got my first job in a digital marketing agency. After building up a wide range of digital marketing skills I was then able to move back into the arts. Question: Can you describe how is your daily job at the marketing department and how is your relation with your team partners? Within my department I am responsible for email marketing, social media and digital advertising. I love how wide ranging this can be – from hosting a live Twitter Q&A between curators and the public, through to conducting a segmentation analysis on our email base and working with the design team on a new trailer. There are two other people in my team – the Digital Communication Officer, who is responsible for seeding Tate’s digital content on other platforms, and building partnerships, and the Digital Marketing Manager, who oversees our work and manages innovation projects and long-term strategy. Question: What are your main challenges or difficulties in your daily job? One of the main challenges is keeping on top of everything. Tate is a large organisation with lots of competing objectives, which sometimes makes it difficult to prioritise. Equally that means that most projects have multiple stakeholders, so communication and diplomacy is always key. Question: What added value do you find at Tate? What did Tate provide you in your professional career? It has always been important for me to keep learning in my work, and Tate provides constant opportunities to learn from those around me. I have the opportunity to be involved with a wide variety of projects, working across multiple teams including the Digital team, Interpretation team, Catering team, Events team and many more. These teams all have such different aspirations and strategies but they are alike in their high ambitions for Tate and its audiences. I also have the opportunity to work on projects with incredible partners, such as Instagram, Twitter and GoPro, while also working with creative advocates including actors, musicians, designers and writers. I am constantly learning not only about communication and growing audiences, but about creativity and all its different manifestations. 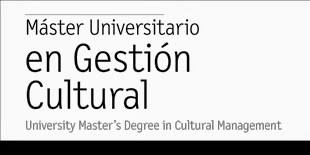 Question: Our students of the Master in Arts and Cultural management at UIC are working in their final cultural projects. How important do you think is the digital media in the promotion and marketing of a cultural project or event? I think digital media is important for two reasons. The first is that it is great for smaller organisations and budgets, which can be a common occurrence in the art word. Digital marketing enables you to target very specific audiences, and grow the brand loyalty of that audience in a strategic way. Your budget is able to go a lot further, and is also able to bring people a lot further down the customer ladder. Secondly, online is where the conversations are happening, and culture and conversation are an absolutely crucial partnership. Digital media, including articles, social media and films allows you to create global conversations and to open out the artistic process to a much wider audience, ranging from a conversation on Twitter to crowd-funding and crowd-sourcing a whole artistic project.